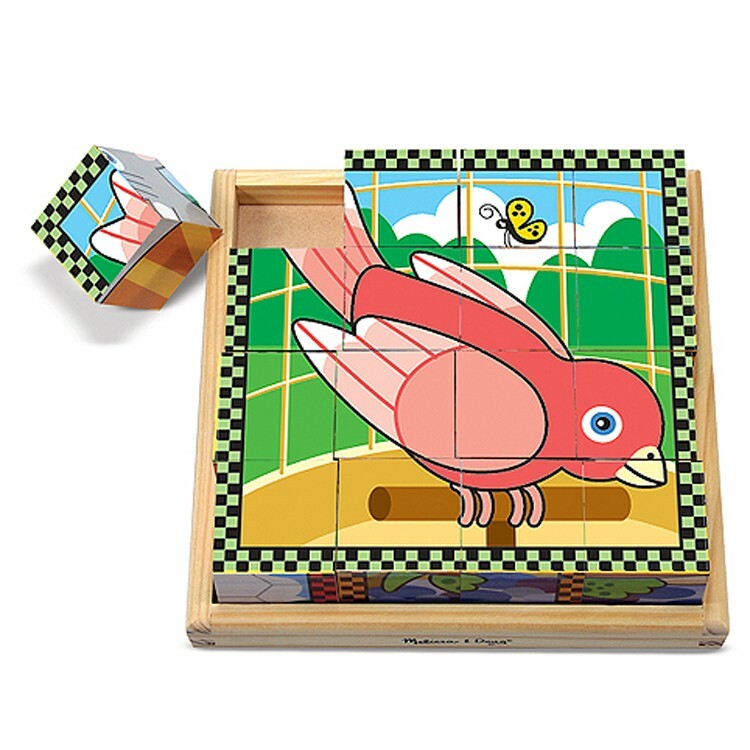 This Melissa & Doug's pets cube puzzle has 6 puzzles in one toy, turning every side of each cube block into a different animal puzzle picture. 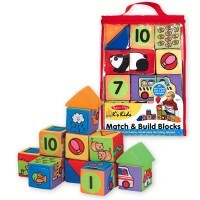 Puzzle fun and building block action collides! 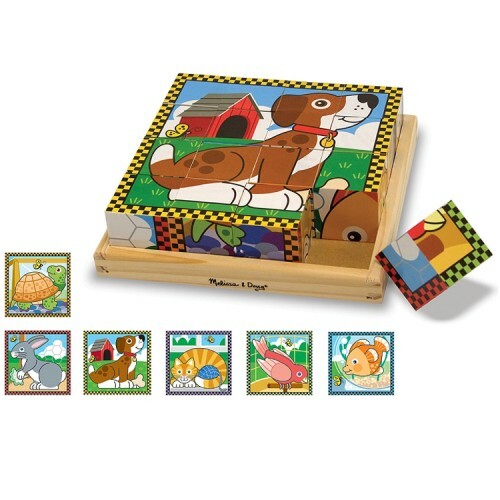 Pets Cube Wooden Puzzle by Melissa & Doug is a unique puzzle toy perfect for all toddlers and preschoolers. 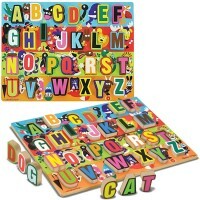 This puzzle features fun building blocks that actually become the puzzle pieces themselves! The best part is that it's not only one puzzle, but it's actually SIX puzzles in one! What will you piece together? 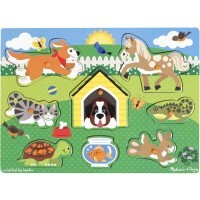 A puppy, a kitten, a birdie, a fish, a bunny, or maybe even a turtle? 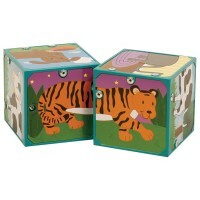 Every side of each cube block of Pets Cube Puzzle fits into a different animal puzzle picture. 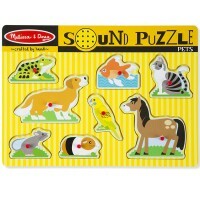 Educational Toys Planet offers Pets Cube Wooden Puzzle, this durable wooden puzzle, as the perfect toy for toddlers and animal lovers of all ages. Help your children strengthen their fine motor skills and expert problem solving talents as they bring these whimsical animal scenes to life! 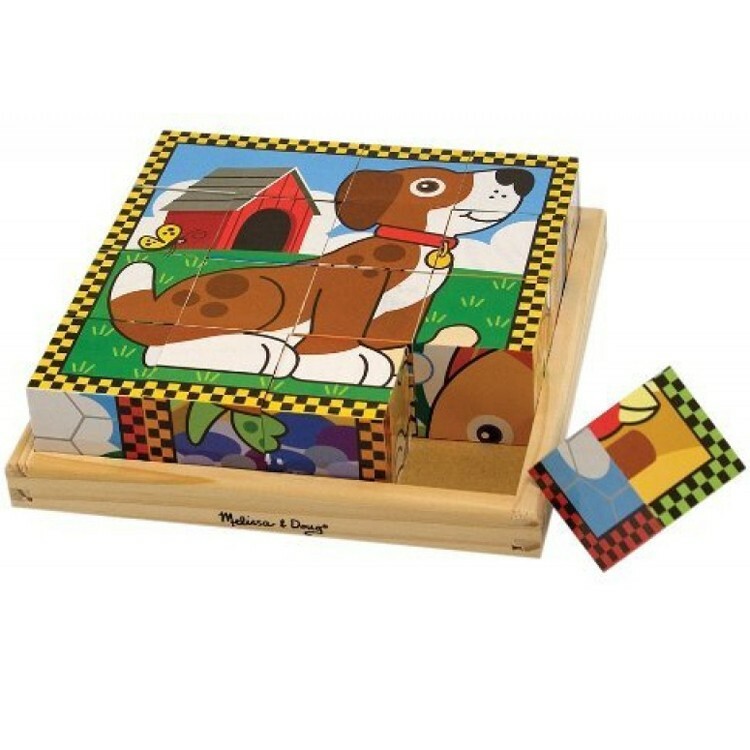 Dimensions of package 2.2" x 7.99" x 7.99"
Write your own review of Pets Cube Wooden Puzzle. 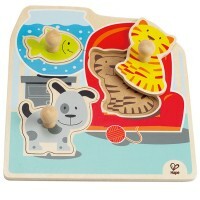 Rating: 5 Fun and unique by Jessica G This puzzle is even better than the usual because of its unique design. 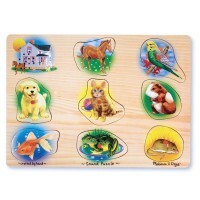 Children can put together 6 different animal puzzles. 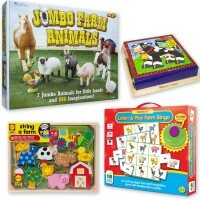 They can practice animal vocabulary, animal sounds and more while working on spatial and problem solving skills. 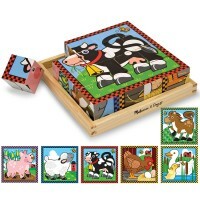 Of course, as always, Melissa and Doug put together a high quality educational toy at a reasonable price. Rating: 4 by Elsie, NJ My students(preschool)liked the puzzles. 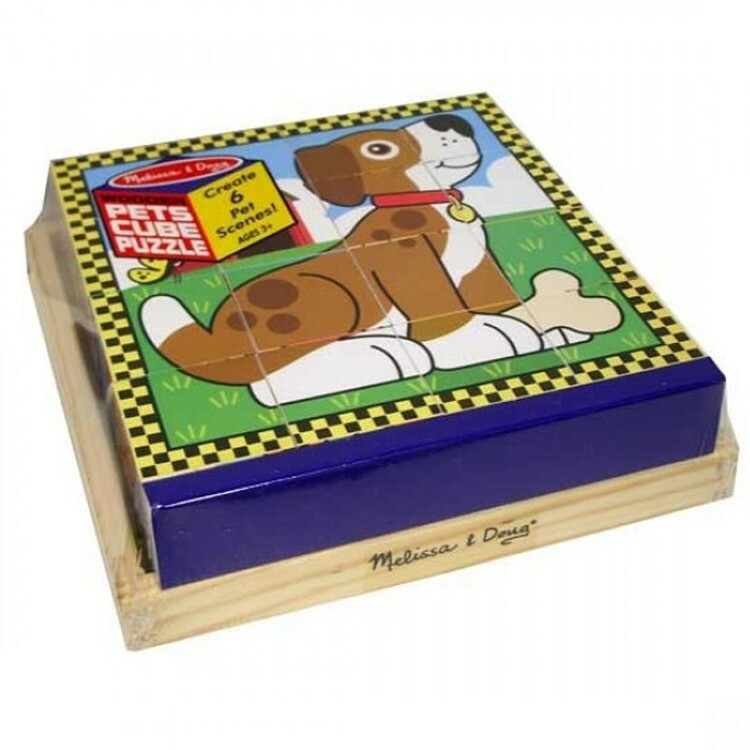 Rating: 5 by Melanie, ND The pets illustrations on the sides of these puzzle cubes are very cute, bold and children appropriate. I like that the border on every picture is different color, so it's easier for the kids to identify the right side of the cube. 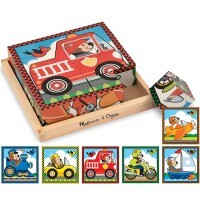 Good quality wooden toy for youngsters. Rating: 5 by Pamela, CA I remember having one of these when I was a child. Rating: 4 by Trish, VA I ordered this for my great-niece, and had it send directly to her. From the photos of her playing with it--and her daddy helping--they both loved it!